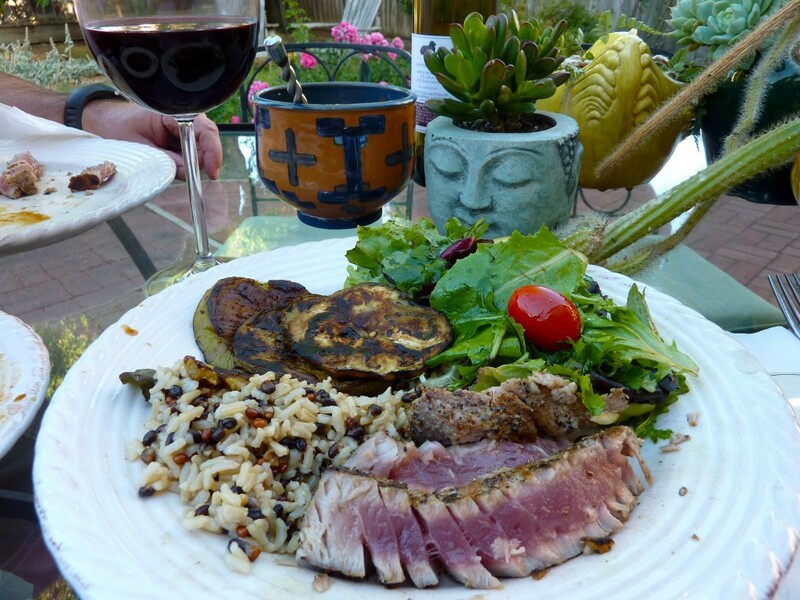 This Labor Day BBQ included seared Ahi tuna, mixed brown rice and roasted eggplant to begin the journey into fall and celebrate the change of weather and all things new. I attended the International Association of Yoga Therapy Symposium in Pacific Grove Friday through Sunday and am now inspired to practice pranayama breathing, a daily mantra, meditation, positive thoughts and healthy eating. A perfect transition into a new season as well as a fitting attitude adjustment for the new academic year. I hadn’t planned on taking this picture of dinner, but it just looked so lovely on the plate and I was “in the moment” seeing it in all its’ beauty, colorfulness and nutritional value. How often do we stop and appreciate something so basic? A plate of wholesome food in my funky backyard in the awesome Indian summer weather. All these beautiful moments come to mind when I gaze at the photo of my Labor Day feast. My goal is to make leaping in faith more a part of my daily life so that I can experience the unexpected blessings that the universe has in store for me. 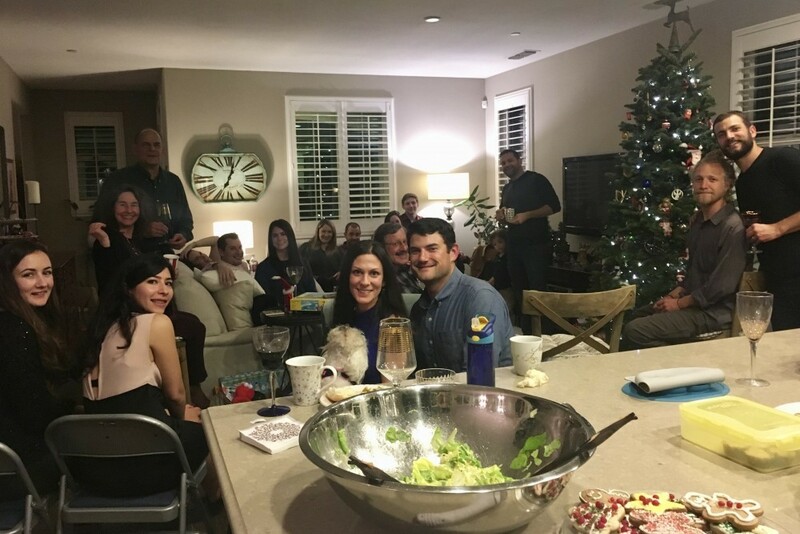 In thanksgiving for my two new friends- Kim and Tisha.